Every Sunday morning, New Life Christian Church runs an educational program for Junior High-aged students (grades 6-12). This program involves an in-depth Bible lesson with life-applications helping students become more confident in who they are in Christ. They are encouraged to discover their God-given identity and be equipped to do good works. 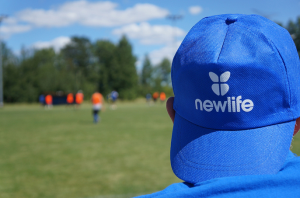 On Friday nights from 8 to 9:30pm, New Life offers an action-packed, high-energy program open for all Junior High-aged children. Included in this program are: games, a variety of team-building activities, snacks, and a brief message.